Whether you’re a Ford, GM or Chrysler fan, Liberty Classics has just the engine for you, or rather scale-model replicas of some of the more iconic powerplants from years past. 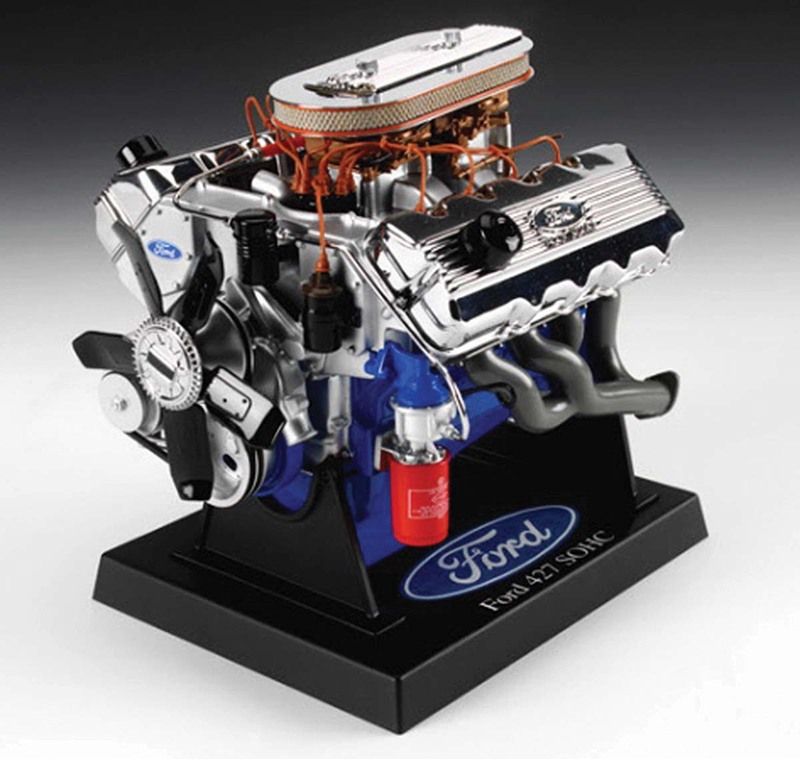 Examples include a variety V-8s, both original and modified hotrod versions with superchargers and other gear. Each 1/6-scale replica is highly detailed, including removable air cleaners, working pulleys and belts, and fuel lines and spark plug wires. Each completed engine is mounted to a base for easy display and is priced under $40. Liberty also sells other auto-themed branded items, including lamps and revolving wall lights. Order directly at www.libertyclassics.com.